Sunday Riley Tidal - Worth The Hype? Sunday Riley is a massively hyped brand in itself but it's also fairly pricey too with it being a luxe brand, so it does open itself up for mixed reviews. I've really wanted to try their oils, like the Luna Sleeping Night Oil but I just haven't brought myself to part with £85 on one product, can it really be that good? 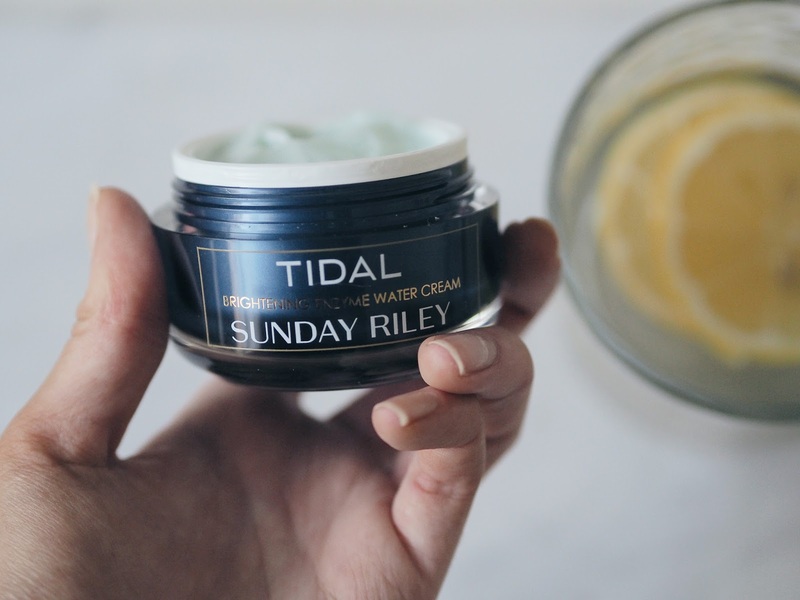 The Sunday Riley Tidal Brightening Enzyme Water Cream was released early last year and everyone went wild for it. The fact that it is packed with Hyaluronic Acid made me listen up - Hyaluronic Acid is incredible for injecting moisture into the skin, making your skin plump and juicy. It also has resurfacing papaya enzymes which for someone who suffers terribly with bad skin texture is really interesting to hear. The ingredients also include brightening white bird of paradise extract - no idea what that is but it sounds good. So I managed to get my paws on this through my very good parents who picked it up for me in Sephora whilst away in the states and after a month of using it morning and night, I'm impressed. It has a gorgeous gel-like texture which soaks into the skin immediately with no residue and smooths the skin out, creating a gorgeous base for make up in the morning. My skin is also noticeably brighter and pigmentation isn't as angry as it usually is on a morning, proving that it is managing to resurface my skin and slough away dead skin cells during the night. The beauty of the Tidal Water Cream is that you can layer it with other serums/oils - so if you are a little drier you can add a facial oil on top too. It retails in at £60 per tub (a little cheaper in the US, as is everything), which is on the higher end of the scale but the smallest amount goes a really long way so I do feel you get quite a bit of bang for you buck. So, is it worth the hype? Yes - it's not a miracle product that will solve every skin concern you may have but it's a really decent moisturiser that actually does what it says on the tin. 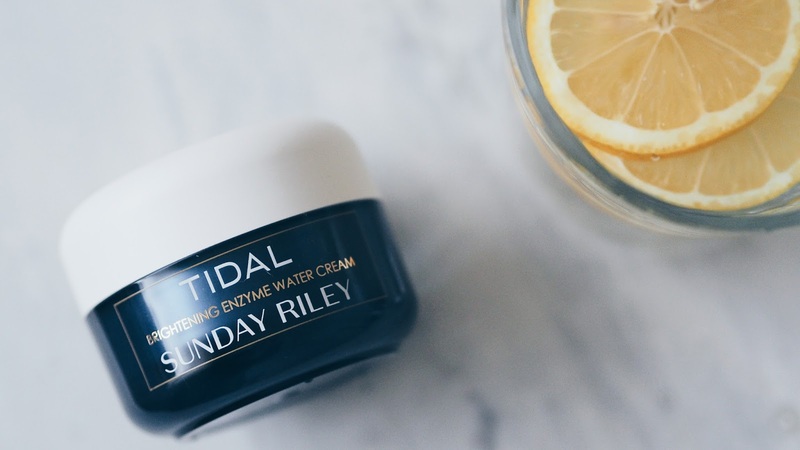 Sunday Riley Tidal Brightening Enzyme Water Cream is available from Cult Beauty & Space NK.